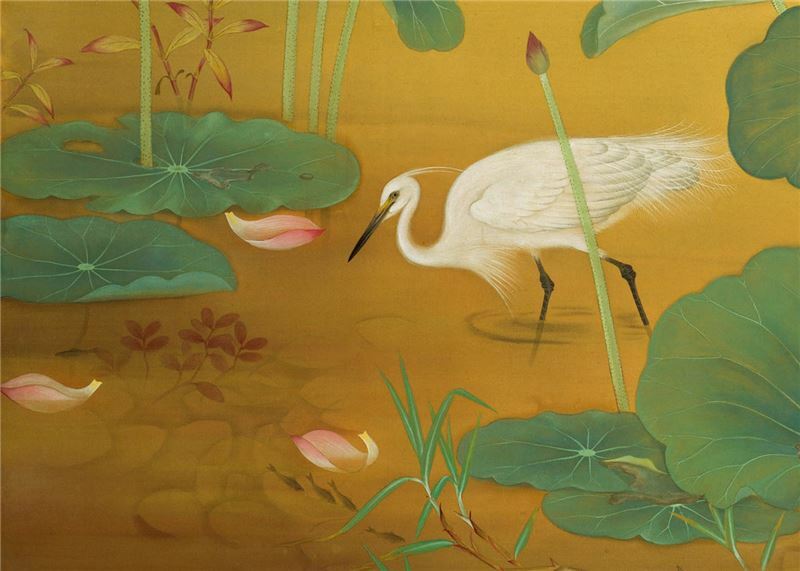 Lin Yu-shan was born in 1907 in Chiayi, Taiwan. He took an interest in art at a young age, studying painting under the tutelage of Tsai Jen-hsiang and Japanese artist Isaka Kyokko. In 1926, Lin Yu-shan entered the Japan Kawabata Painting School to study Western-style painting and Toyoga-style painting. In 1927, Lin's paintings, The Buffalo and The Great Southern Gate were selected for the 1st Taiwan Arts Exhibition. At the age of 16, Lin Yu-shan returned to Taiwan and immediately had three of his paintings winning awards or unconditional entry at the Taiwan Governor General Arts Exhibition and Taiwan Arts Exhibition. 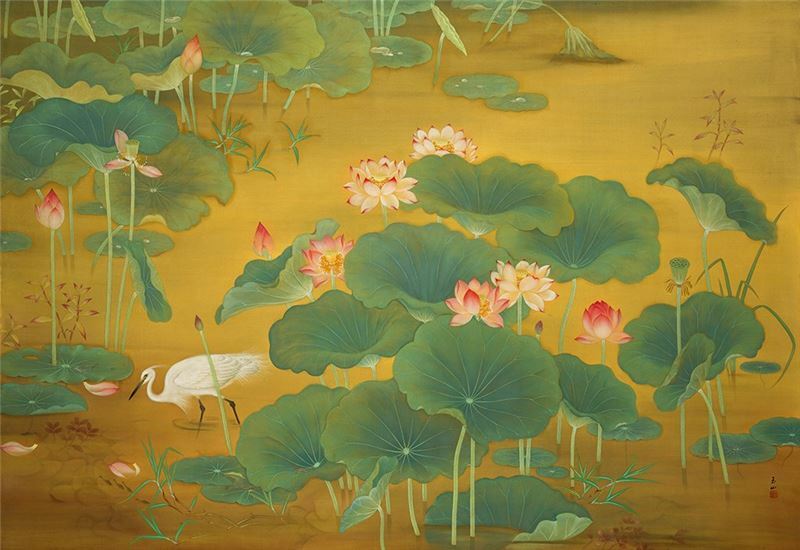 Mr. Lin was one of the leading artists and art educationalists in post-war era, mastering a wide range of genres and themes including landscape, human figure, flower-and-bird and animals. Lin was also one of the longest serving artists in the history of Taiwan, remaining active in art practice even into his 90s. He was one of the few masters who was capable of traversing genres, while maintaining his own unique style white at the same time capturing the spirit of his time. Lin Yu-shan's art was immensely nurtured by his classical training in painting en-plein-air. He made several painting trips to the lotus pond in the Niuchou Mountain in Chiya in order to capture the water lilies's peak flowering at dawn. 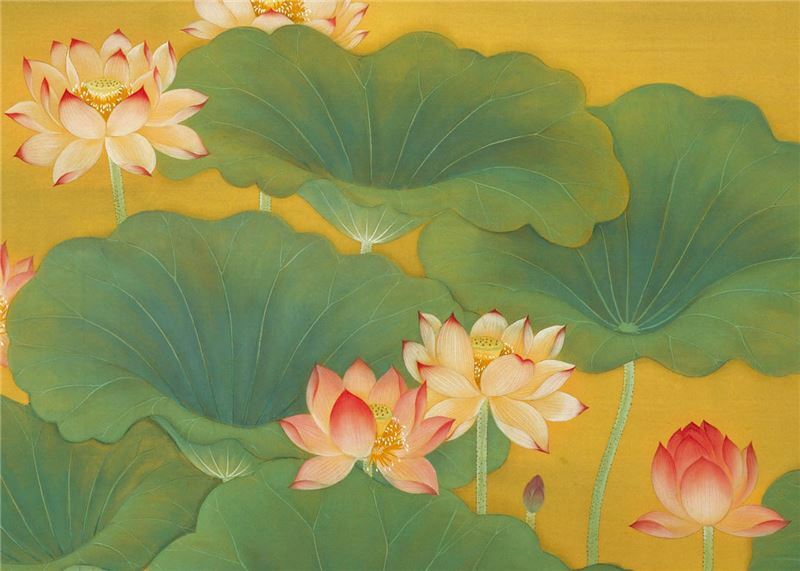 Lotus Pond is roughly divided into two areas by a line that flows from the top right to the bottom left corner. 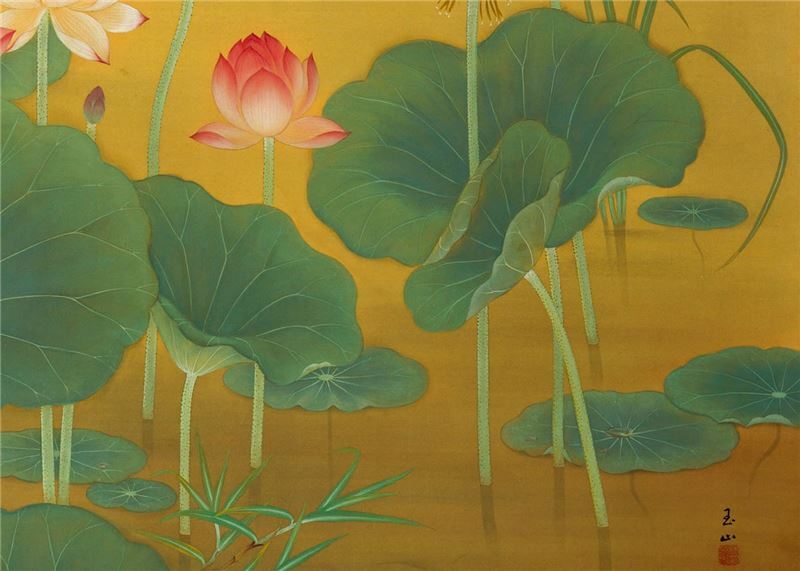 The painting vividly portrays the full-blown cup of lotus flowers with dew drops on the surface of the lotus leaves, the waterweed and small fish swimming. The white egret on the left side looks so lively as it was going to bring us the sound of water rippling. The gorgeous shades of golden bronzes gilded the various shades of green and red to create a glorious glow or aura. Since the Taiwan Arts Exhibition was first launched in 1927, the Japanese judges for this exhibition have centered their attention mostly on plein-air plaintings. This new trend led to the exclusion of some of the already prominent Taiwanese artists in the traditional camp from this event, including, to name but a few, Tsai Hsueu-hsi, Lee Shih-chiao and Lu Pi-sung. At the same time, this new vogue also promoted the rise of three teenage sensations i.e. Lin Yu-shan, Guo Hsueh-hu and Chen Chin – or collectively known as the “Three Youths of the Taiwan Arts Exhibition”. 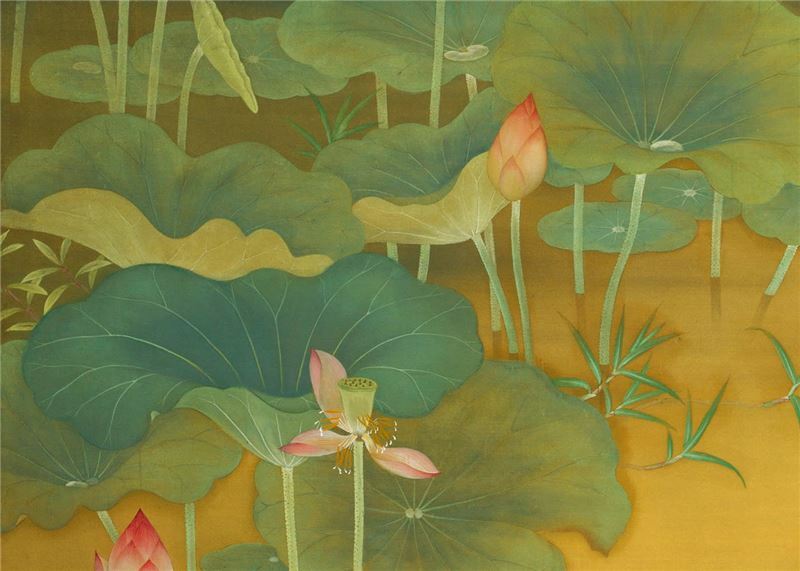 Lotus Pond, which won the Special Commendation Honor at the 4th Taiwan Arts Exhibition, vividly portrays the sensibility, elegance and aura of the lotus flowers and leaves. Gouhara Kotou, one of the judges of the Taiwan Arts Exhibition, regards this painting as one of the most exemplary types of artworks which the Taiwan Arts Exhibition was trying to promote. It was also widely regarded as one of the classic “local-color paintings” of Taiwan from the era of the Japanese Rule.